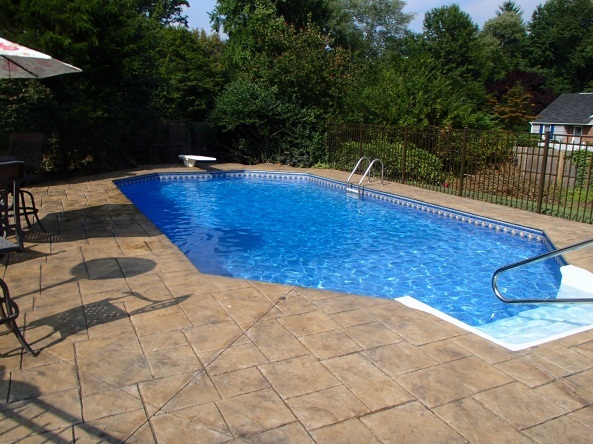 Planning a Renovation | APCO Pools Specialties, Inc. 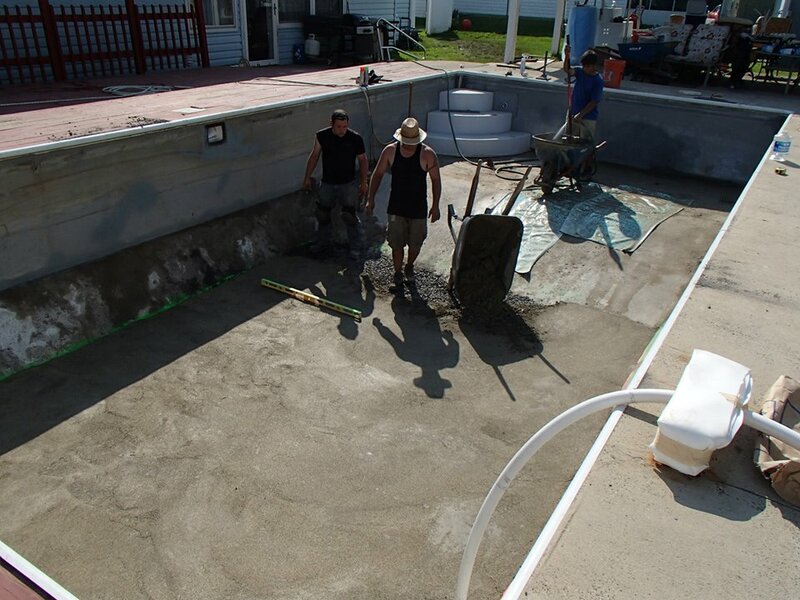 The most important part to having a pool renovation done is to find a qualified pool company, concrete company, and an electrician. 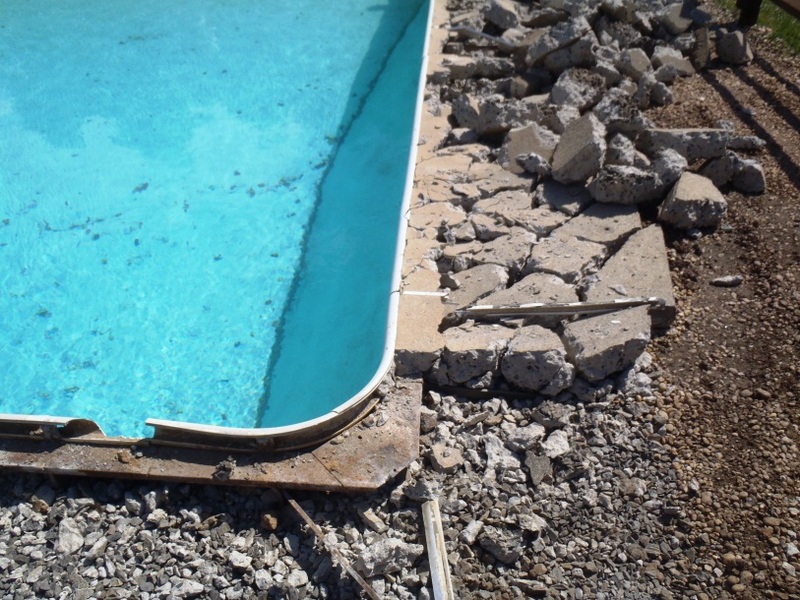 APCO Pools, ESCO Concrete and A1 Dayton Electric specialize in pool renovations and have been working together as a team for years renovating pools. 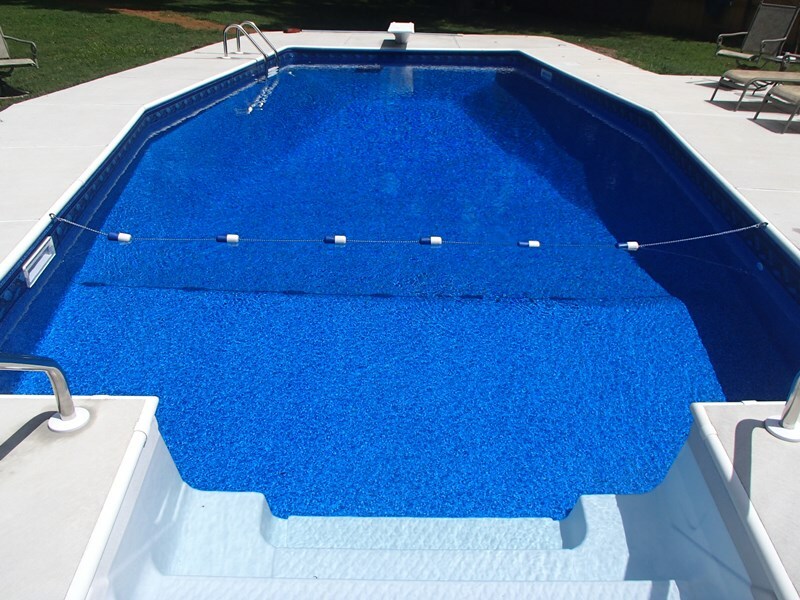 APCO Pools will also work with any concrete company or electrician of your choosing. 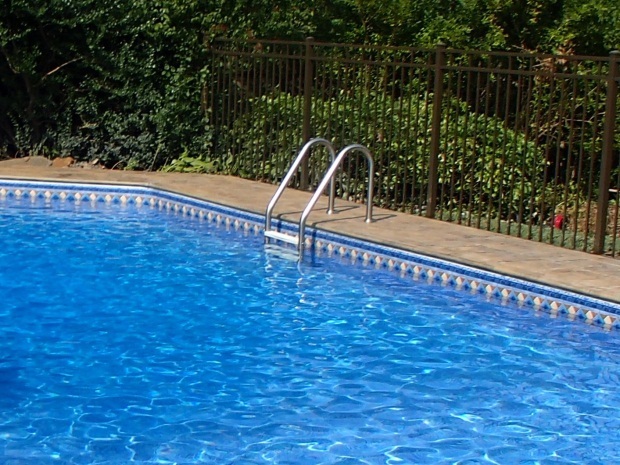 Updating the Look: There are many options to update the look of your pool. Changing the shape, deck, coping, and/or steps is a few. Adding a loveseat, lighting, hot tub, or fountains can also update the look. 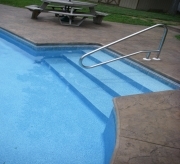 See www.apcopools.com/galleries/renovations for Before and After Renovations pictures. Changing the Configuration: It is possible to change the configuration of your pool within reason. It will always be more cost effective to keep the basic shape. This customer had a Grecian shape with a center white step. We removed the white step, added some wall panels, angled the shape and added a 18' liner covered step and bench combination. 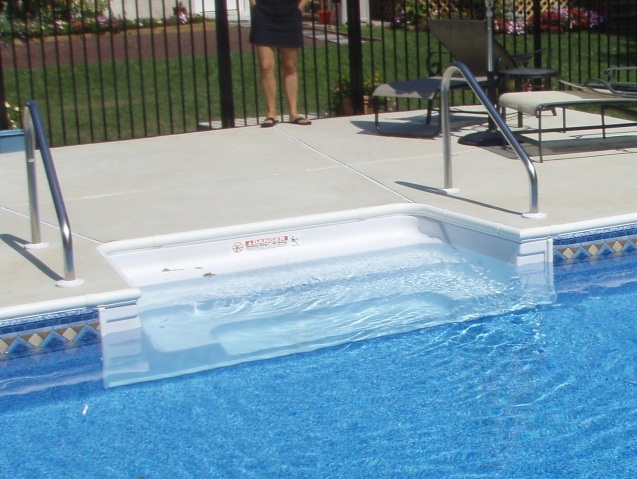 Cantilever Coping: Pool Coping is the rim around the pool. It is important to understand the difference between cantilever, non-cantilever coping, brick, aluminum, etc.. 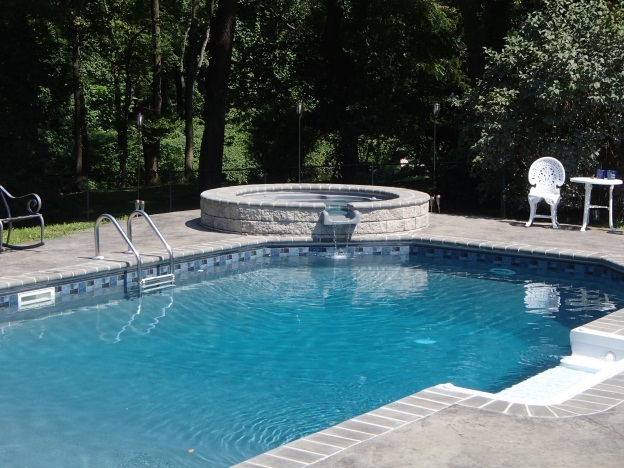 This pool renovation has stamped concrete with cantilever coping. 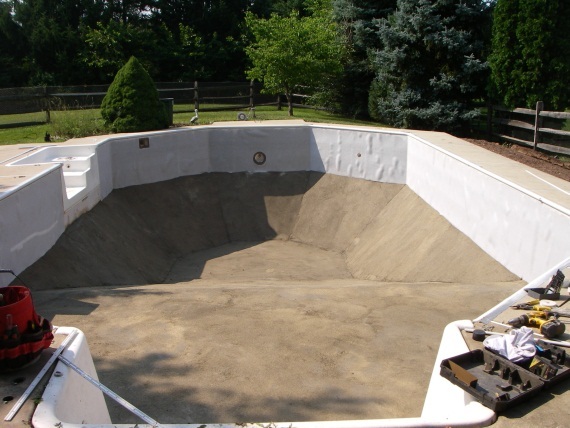 The concrete is one continuous look eliminating the white rim around the pool. The liner is held in by a tracking. The next page will show non-cantilever coping. 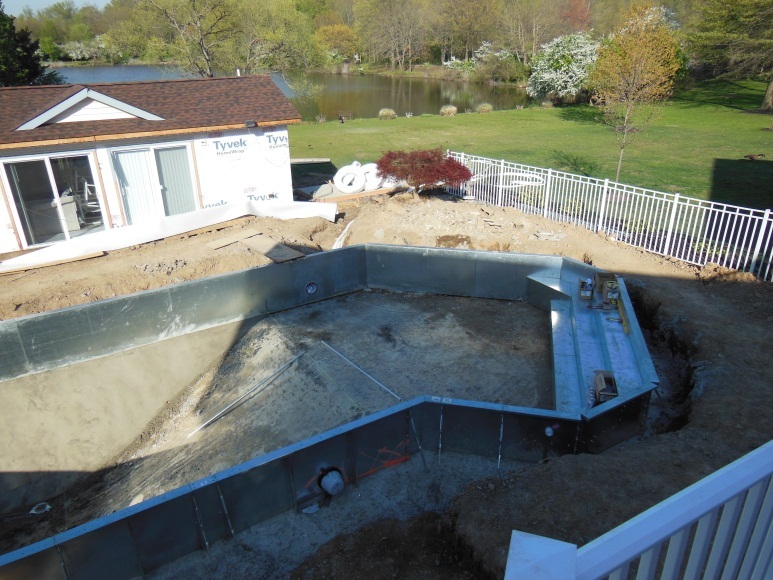 See https://www.apcopools.com/galleries/coping--decking/ for additional Coping information.Cantilever Coping: Pool Coping is the rim around the pool. It is important to understand the difference between cantilever, non-cantilever coping, brick, aluminum, etc.. 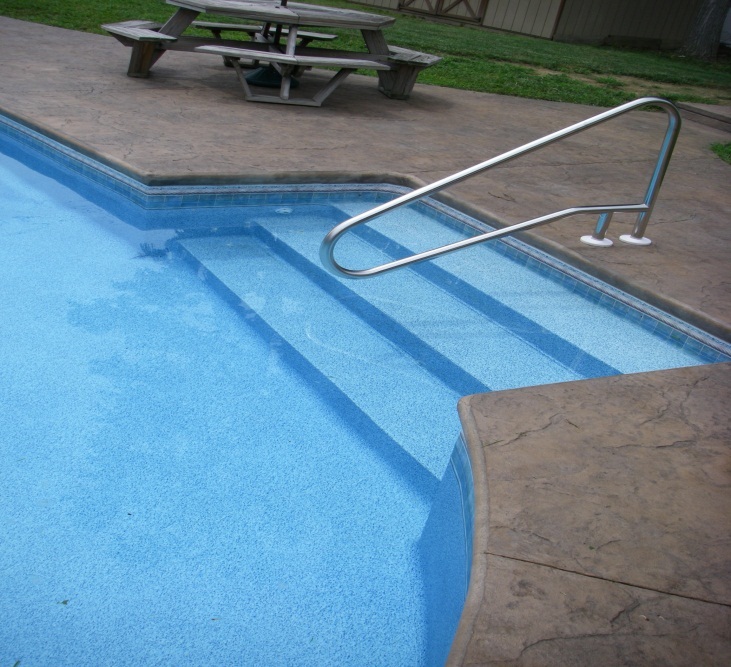 This pool renovation has stamped concrete with cantilever coping. The concrete is one continuous look eliminating the white rim around the pool. The liner is held in by a tracking. The next page will show non-cantilever coping. See https://www.apcopools.com/galleries/coping--decking/ for additional Coping information. 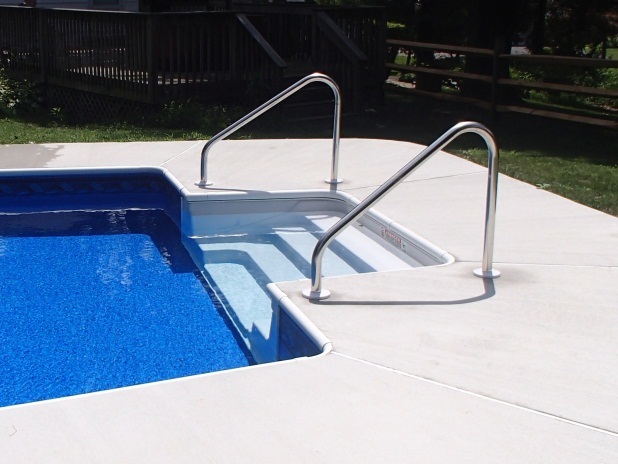 Non-Cantilever Coping: The perimeter of this pool has non-cantilever coping. This is called bullnose coping. It has a built-in track to hold the liner. It is the most common and economical choice of coping. Saving the Coping: There is an option to save the existing white bullnose coping. We do not recommend this option but it can be done. There are some risks to doing that. 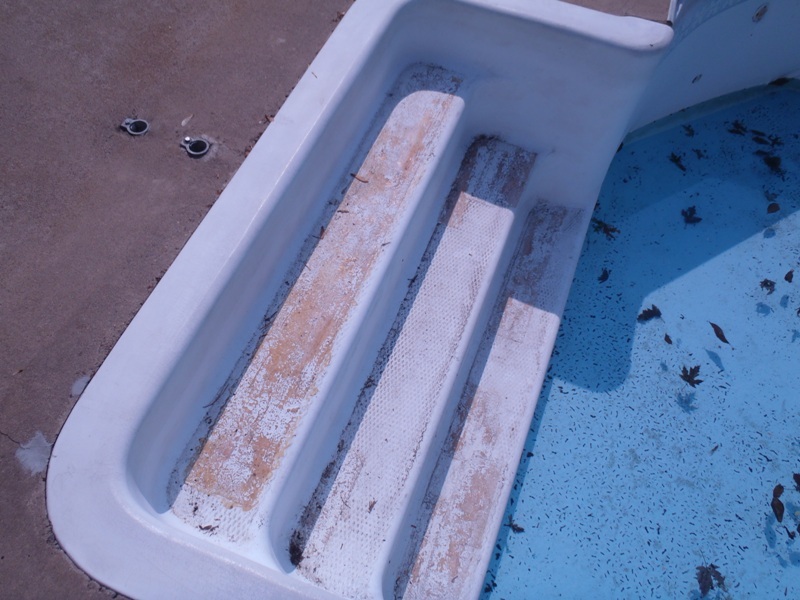 While removing the concrete deck, the coping could get scratched, chipped or broken. If it can be saved, it can be painted to look like new but will require upkeep. Decking: See https://www.apcopools.com/galleries/coping--decking/ and www.escoconcreteinc.com to view many decking options. Adding Steps. 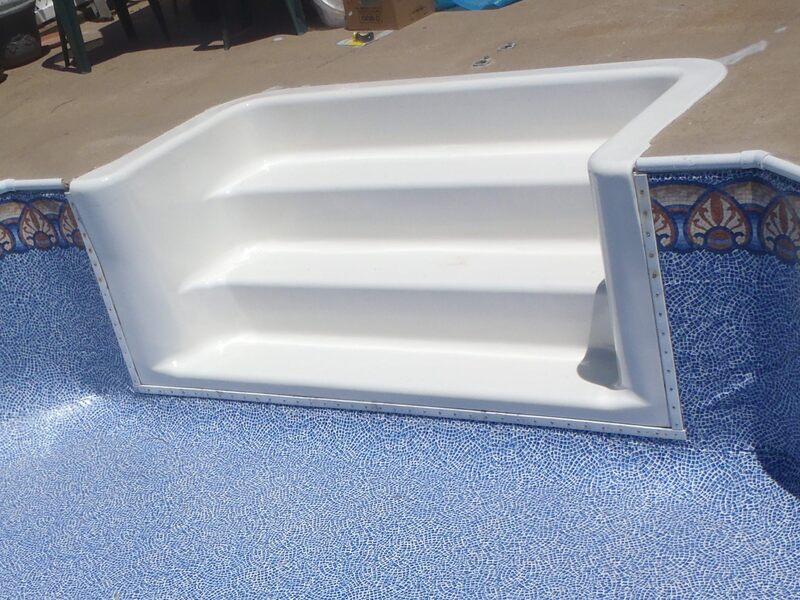 There are several options for adding steps to your pool; Keep existing steps, delete existing step and replacing it with a liner- covered step, install a white plastic step, install a colored plastic step, design a free-form concrete step, or adding a wedding cake. Adding step jets on both sides of your step may help keep the steps clean. Depending on available space, there may be an option on the step location. Before deciding, understanding the difference between cantilever steps versus non-cantilever steps is important. The next 2 pictures will explain the difference. See apcopools.com/galleries/steps/ for additional step options and information. Non-Cantilever Step: This picture shows an existing non-cantilever step. It has a wide rim around the top and the concrete butts up to the wide rim. Cantilever Step: This picture shows a cantilever step. This step sits under the concrete without a rim. Before - Repair Existing Steps: The existing steps may be deteriorated and worn. The steps can also feel "spongy" lacking support structure underneath. This can weaken the step causing them to crack when walked on. After - Repaired Step with Structural Support: When doing a renovation, especially changing the liner, the existing steps can be repaired to look and feel like new. 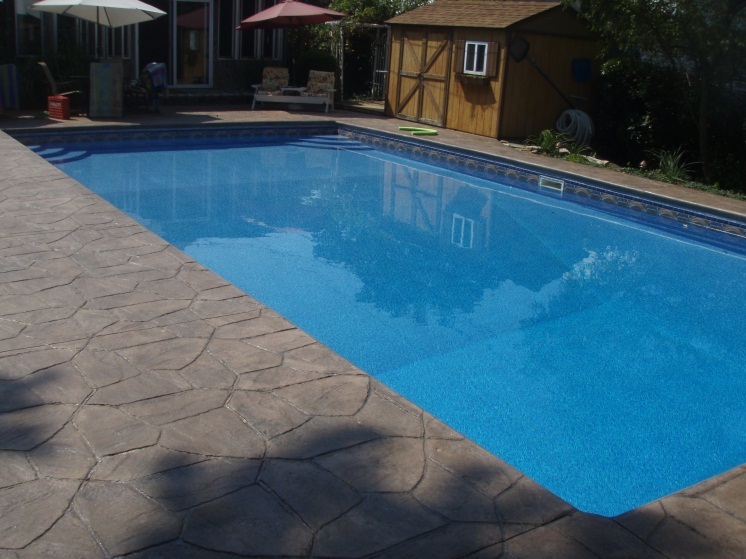 Option - Spill-Over Spa: This customer changed the appearence of her pool by adding the option of a spill-over spa surrounded by pavers. You will need to decide the location of the spa. 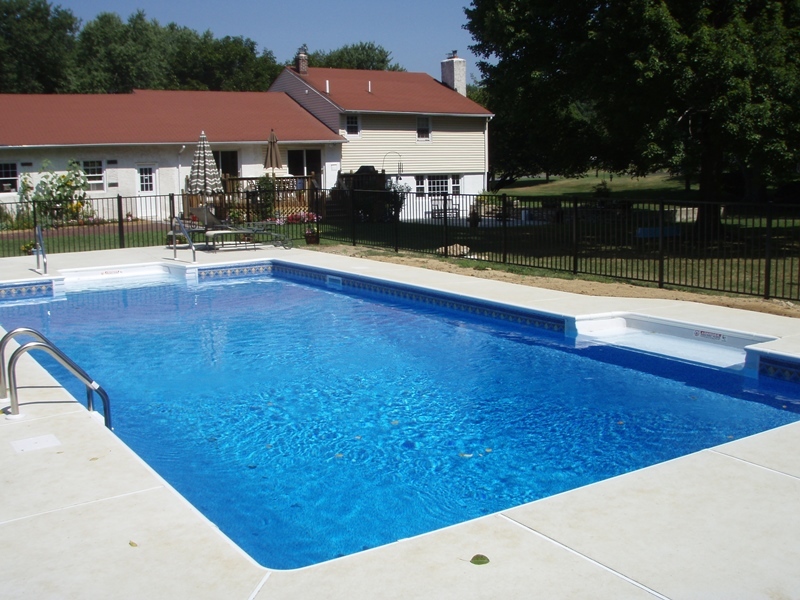 Option - Adding Deep End Bench: A pool shape can be changed by adding the option of a loveseat. There is also an option to add jets in the seat. You will need to decide the location of the loveseat. Option - Slide: Customer opted for a slide. This option could be planned for the future but the water line should be installed while the concrete is removed. 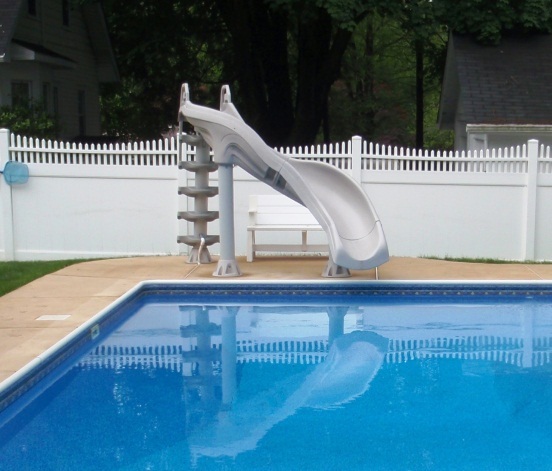 Option - Two Handrails: For safety reasons, a handrail is highly recommended when having a step in your pool although you can choose to leave it out. There is the option of having 1 or 2 handrails. Customer choose the option for 2 handrails. The handrail anchors need to cure in the concrete for at least 30 days before the handrail is used. Existing handrails can also be reinstalled. Option - One Handrail: Customer chose 1 handrail directly in the middle of the step. A handrail can also be installed on the left side or the right side of the step. The location must be discussed with the concrete contractor so he knows where you would like the anchors installed. The anchors are installed when the concrete is wet. The handrail anchors need to cure in the concrete for at least 30 days before the handrail is used. Existing handrail can also be reinstalled. Option - Deep-End Ladder: For safety reasons, a ladder is installed in the deep end. This must be discussed with the concrete contractor so he knows where you would like it installed. The anchors are installed by the concrete contractor when the concrete is wet. The ladder anchors need to cure in the concrete for at least 30 days before the ladder is used. The existing ladder can also be reinstalled. Option - Deck Jets: Customer decided to have deck jets installed. Option - Raising Deep-End: Customer chose the option to raise his deep end from 8 to 5. Option - Hard Bottom: Customer had a hard Vermiculite bottom installed. Sand bottoms run the danger of the bottom having wash out. 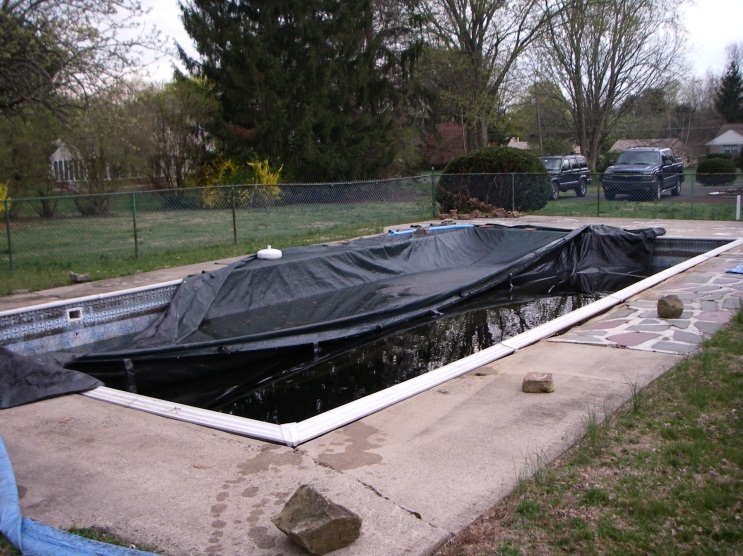 APCO Pools highly recommends having a hard V-Lite bottom installed.